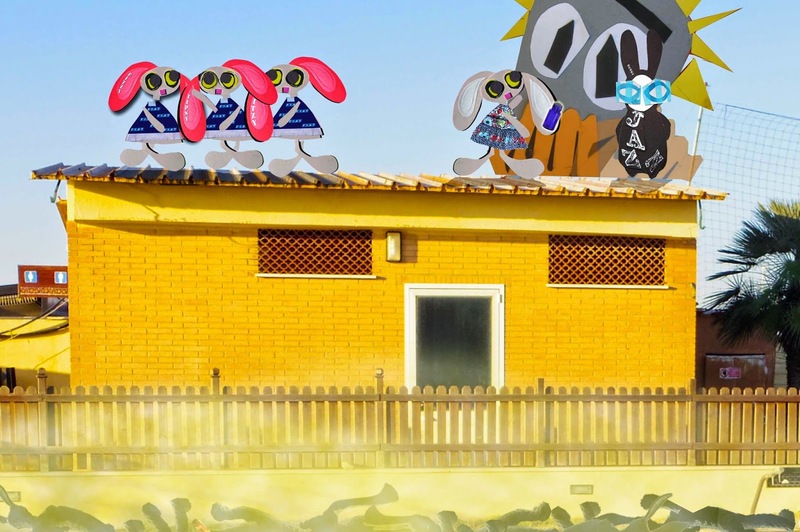 The Wabbit stared down at the prone figures of the Agents of Rabit and spoke to Panico. "What do you think?" Panico's fist shifted slightly. "We won!". Lapinette grabbed Panico's blue vial and threw it in the air. "Drink it," said the Wabbit. Panico didn't hesitate for an instant and he drank the contents in a single gulp. There was silence while everyone waited and chatted. "Nothing happened!" said Panico, "but Wabbit it made you tall." Lapinette laughed, "Panico, you're already tall." "I am!" shouted Panico with glee and his fist moved a little further from his mouth. Lapinette's three personal guards chose this moment to launch into song. "Some vials make you taller," chirped Fitzy. "Some vials make you fall," trilled Mitzy. "But the ones the Agents wanted," sang Tipsy, "can't do anything at all." They all giggled with mirth for some time. "So Panico," said the Wabbit. "Do you want to come back with us?" Panico smiled behind his fist. "I'd rather stay here in Rome with Terni the Dragon." "Then it's all settled," said Lapinette. Tipsy butted in. "There's just one tiny ickle thing left over!" Everyone looked at her. "When I first met Panico here on the beach," said Tipsy, "I never got an answer." Panico looked puzzled but Tipsy's eyes glinted. "You were going to take me out to dinner." "Aaaaaaagh!" yelled Panico and his shriek could be heard all along the coast.